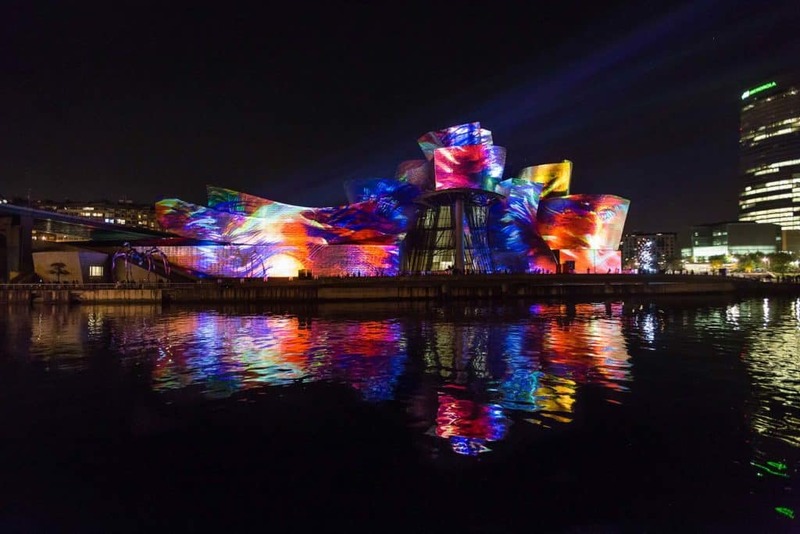 From 11-14 October 2017, Frank Gehry’s iconic building was turned into an impressive public artistic intervention by Tony Award-winning video artists, 59 Productions. The Museum saw its distinctive titanium curves and soaring glass atrium used as a vast canvas for a bespoke projection-mapping event for over 300,000 spectators, free of charge across more than 20 performances. 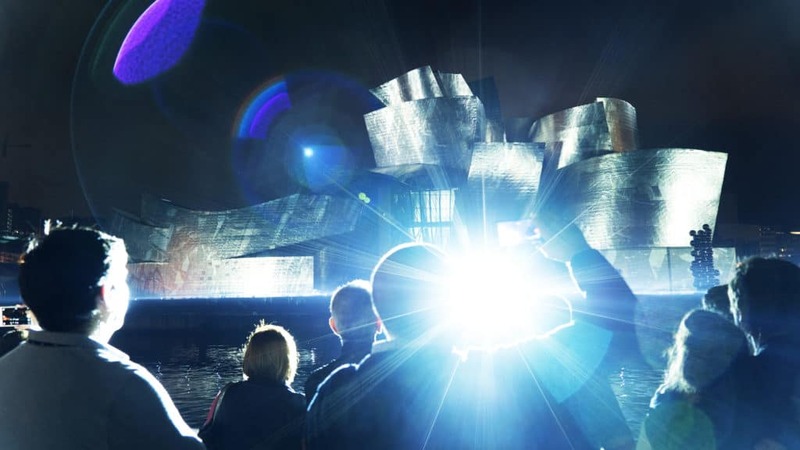 Using cutting-edge technology, the 20-minute animated artwork set to an original score traced two decades of history and creativity in Bilbao. 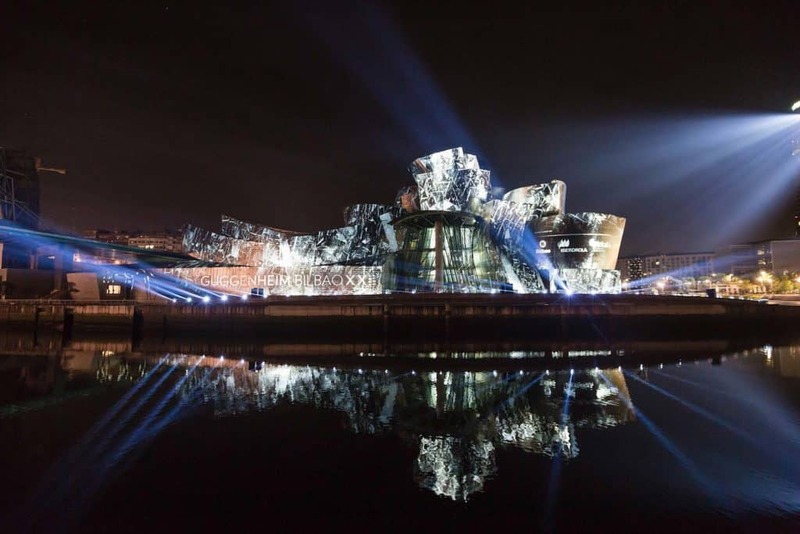 Inspired by this rich history alongside Gehry’s visionary design and lifelong preoccupation with light, texture and movement, the projections transformed his shimmering architectural masterwork and brought art to life in an unmissable iridescent celebration of the people and city of Bilbao.